Is AirBnB Part of Edinburgh’s Homelessness Problem? Note – not all registrations are necessarily active. AirBnB data from SPICEe. A lot has been said recently about the plan to complete the tramline to Newhaven. Whilst the Council’s decision to fund the completion of the tramline made the news, less has been said in the media about another key decision made that day. My colleague, Councillor Mandy Watt, brought forward a motion asking the Council to use all its powers to end the use of “B&B” accommodation to house homeless individuals and families (often escaping domestic abuse). Let me be clear, many of these properties are not fit for human habitation – there have been reports of bugs in beds and blood on walls. Indeed, although Scotland’s Councils breached unsuitable temporary accommodation (UTA) orders 750 times in just 12 months, 70% of these cases were in Edinburgh. Edinburgh has around 4,000 people presenting as homeless per year, and the Council has a duty to place them in “temporary” accommodation until a home can be found. As a last resort, the council will fall back on B&Bs. In February it was revealed that the Council has spent £28.1m to meet an increased demand for B&B accommodation since 2016. In 2018 alone, the Council spent £11.7m on temporary accommodation for homeless people – including £6.4m to one provider. This is money that should be being used to build homes. I don’t know what the solution is, but it’s clear that we have to tackle the causes of homelessness. This ranges from welfare reform to domestic abuse and relationship breakdowns. A particular issue in Edinburgh is the tourist economy. Whilst it has many positives, and I am proud that our city attracts people from around the world, it is now estimated that there are 12,000 AirBnB registrations in our Capital, and there have been many reports of people being made homeless to create them. 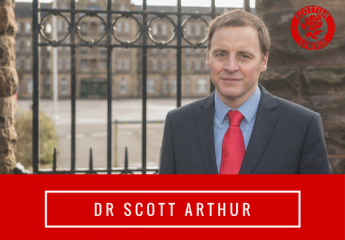 I therefore hope that Cllr Watt’s motion will put added pressure on the Scottish Government to give Edinburgh the powers it needs to better regulate AirBnB type lets.